Good morning everyone! I hope you all had a great weekend. This week the post will be short and sweet because I was traveling last weekend and I'm getting ready to travel this weekend too. I love going on trips, it's always been something that I have enjoyed. 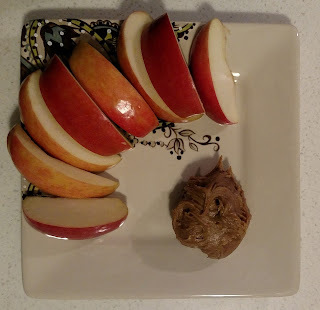 I thought I would share a snack I enjoy making when I'm craving sweetness. It makes a great snack for during the work day or an after dinner dessert. I will be mixing up a batch before our road trip later this summer because I think it be the perfect thing to eat on the road. 1. Stir the ingredients together and taste. Do you want it to be sweeter? Add honey. Want a bit more cinnamon? Add it in. 3. Dip apple slices in yummy concoction and enjoy. Blog advisement and editing by adreamingone. Self-Care Sunday: What is Self-Care? Just Add Love, LLC is a handmade, organic, herbal skin care product company. We use chemistry, tradition, and love to create our products while promoting the concepts of self-compassion and care.